What ‘s the next step when you get a a new type of third party tag , definitely it’s inserting of the macros in the code as without the macros the clicks and the impressions won’t be counted , so let’s make it easy for you and lessen your work load . Today there are number of third party tags in market , and any small mistake embedding the macro it will create discrepancy.So just to make you sure of what you are doing , i will put up some third party code with their macros so that it saves our campaign !! Also for cachebusting i have used the variable RANDOM NUMBER , please update it with the macro used with your server for random number generation. Note : For Placement ID i have used SITE ID here , Please make the changes as per Ad server following ! Good Job mate..its realy nice to find this stuff online. If anyone wants click macros for SiteScout, code is below. Thanks Imran, you can also let me know any tag other than above to know the macros. I ll update them. The mentioned macro is used by InterClick which is now Genome by Yahoo now. The ic mentioned in the macro is interclick. Can you plz let me know how cache buster affect the discrepancy? If the cache busting don’t work it will affect in impression counting. 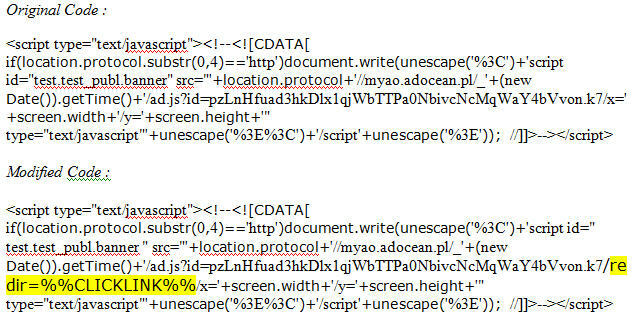 The ads will get deliver from the cache which won’t let the server count an impression which is not correct. The issue looks small but can lead to loss too. Great blog you’ve here since I’m new to this industry and I really appreciate on what you’ve did here. Are you familiar with Air Push tag? Thanks and good to know you are learning here, could you please share the example tag so that we can explain and help you with the macros in it. I’ve reply you on the email since i cant paste all the related tag here, if you mind check it and clarify back to i would much appreciate it. I would like to know if there is any other way than as explained above for implementing the Click Macro for 24/7 RealMedia Tag? I know this may sound a silly question but I hope I am not making any mistakes in implentation. There is something strange or may be we are missing the track of your question. Is this the complete tag, i know you can’t share the complete tag with actual ID’s but please share the complete code and changes the actual ID’s to any values and share back. Never mind share me the tag, we can always double check by using different developer tools if the macro is being converted to the random values. Do you think its something that the ad servers need to change at their end? Or the macro is not getting detected by their ad servers? Let me know if I can provide with any more details. If the ad server supports such functionality it could be possible but that needs to be checked. There could be another reason of not the right macro being used which is supported by your ad server. The best you can do is check with your engineer team who can give some detailed info or else skype us on knowonlineadvertising to have detailed discussion on it. 1. 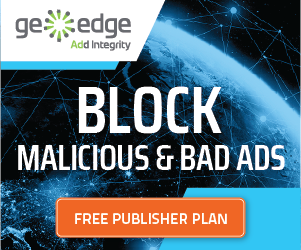 Do you know where can I find a complete list of all the available tokens the main large ad servers have to offer? 2. Do you think campaign_id, placement_id, ad_id and site_id are tokens that the ad servers offer or are those tokens should be replaced by the DSP? There’s no list of Macros at one place as every ad server has their own macros defined, some private networks define their own but servers like google or any public servers have common ones. We will try to add all the macros at one place sooner for your assistance. Is there any way one can track a click in a iframe where there is no actual url that you are being redirected to. It just basically stays on the creative. It is an interactive creative where you fill in name, contact number and email address and then once you done click on submit and the banner just reverts back. 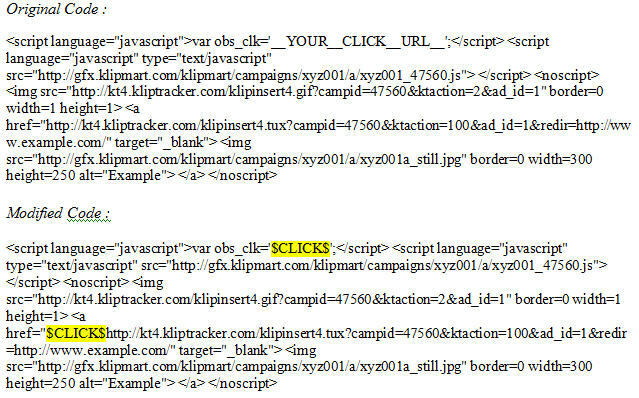 I’ve been trying different ways of loading the macros on Appnexus but cant get it to track the click. If you just want to track the number of clicks on that button, you can create an onclick event on which 1×1 pixel fires (use an impression pixel). So whoever clicks on the button the pixel will fire which will lead to track on backend and you can get to know how many clicks happened plus not leading to any landing page. We have done this for more then 100 campaigns, generally done for rich media creative where we are looking to see where is the user maximum interested in. Does anybody know to implement the click macro for bing/yahoo media.net? Are you familiar with Media.net tag? I’m having a problem implementing the click macro in their code snippet. Help us with a sample tag and will help you with macro placements. Sorry, a few lines were deleted. I can’t send the complete tag.. This isn’t required as this function generates a random number anyway. And in the case where your ad server generates a random string (including characters as well as numbers) this actually breaks the creative and it doesn’t display. Yes, the function itself calls for a random number and here RANDOM NUMBER is the macro the ad server uses which helps the same to count unique impressions. This is optional but adding won’t break the creative appearance. We have been implementing in the same manner for multiple creatives, never faced any such issue. Thanks for a consolidated info. i have this below question. Does the Macro misplacement affect the tracking in both the servers (First party & third party) OR it understate the tracking only in Publisher Ad server? It would be great if you could explain it with an example. Yes, the macros affects only at the publisher end but eventually it leads to discrepancy and thus the issue comes at both the end. Macro insertion is critical while running ad tags, proper implementation saves discrepancy issues. How old is this doc? Quite a little by now, which tag do you see has changed? Please where enter click macro for recieve click? You will always find a placeholder in third-party tags. Also recently, there are tags coming which does not require click macro. If possible share the tag, I will help you if there is a requirement to add click macro or not.